Let use drive your pet to its destination in a safe ,clean climate controlled van with on-board carriers, safety harness and drinking water. 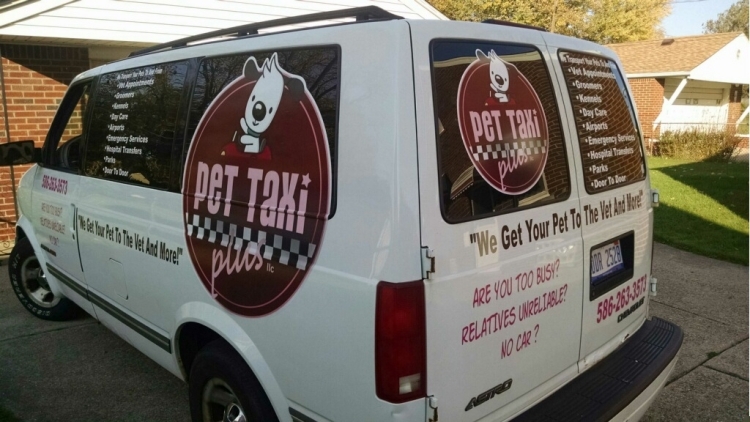 Owner can ride along if pet has issues or you feel the need to keep them company. The first 30 minutes of wait time is on us! Additional mileage charge is $1.00 (If pick-up mileage is more than 10 miles and or destination mileage is more than 10 miles). Emergency pick up and drop off at vet $50.00 (plus $1.00 per mile after the first 10 miles to pick up) includes assistance at scene and 30 min wait time with vet diagnosis.